When you shop at Gucci, it's an experience. But when you visit the Gucci Garden Galleria, it is also a destination. The Gucci Cruise 2018 style collection is filled with the bright colors and elaborate patterns that we dream of wearing out on vacation. Several celebrities and fashion influencers – including Demi Moore, Scout Willis, Rowan Blanchard, Juno Temple, and more – came together to celebrate Gucci's official decor launch event. 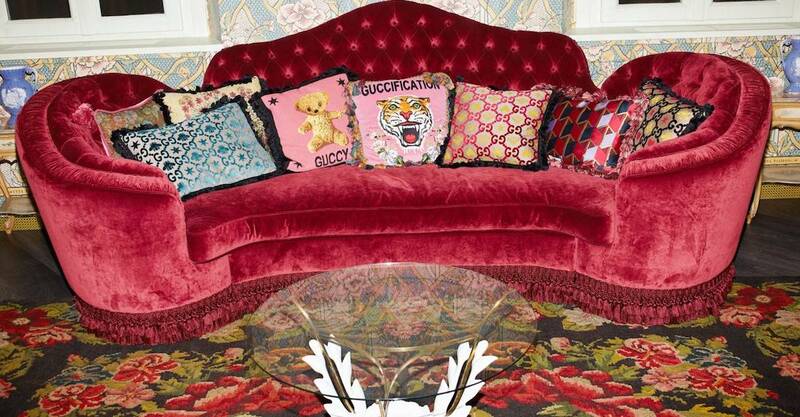 Come September, Gucci home décor will join fashion brands like Dolce & Gabbana in trailblazing the relationship between fashion and interior design.